Director, Institute for Post Graduate Teaching & Research in Ayurveda, Jamnagar. 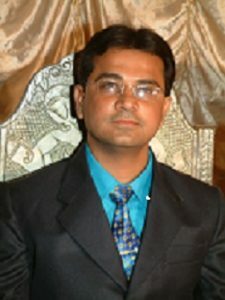 Principal, Shree B.K. Modi Government Pharmacy College, Rajkot. Ex.Dean I.I.A.P.S., Gujarat Ayurved University, Jamanagar. I/C Principal & Medical Superintendent, Prof. Dravyaguna, Shri RMD Ayurved College & Hospital, Wagaldhara, Gujarat. Associate Prof, Dept. of Basic Principles, I.P.G.T. & R.A.,Gujarat Ayurved University, Jamnagar. Manager (Research and Development), Mehta Group of Companies, Rajkot. Incharge Principal & Head of the Department of Swasthavrutta,Government Ayurved College, Junagadh. Principal, Noble Pharmacy College, Junagadh. 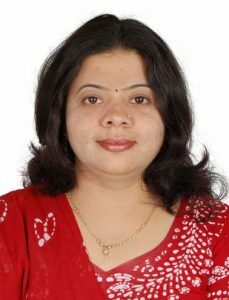 Associate Professor, Atmiya Insitute of Pharmacy, Rajkot. Associate Professorand Head of the Department of Shareer Rachana, Government Ayurved College, Junagadh. Reader and Head of the Department of Kayachikitsa, Government Ayurved College, Junagadh. Associate Professor, Akhandanand Government Ayurved College, Ahmedabad. Head of the Pharmacology Department, I.P.G.T. & R.A.,Gujarat Ayurved University, Jamanagar. Head Pharmaceutical Chemistry, I.P.G.T. & R.A.,Gujarat Ayurved University, Jamanagar. HOD, Dravyaguna Dept, SGAM, & Hon. Program Director, University School of Continuing Education in Ayurved, GAU, Jamnagar. HOD & Professor, Basic Principle, Incharge Principal, Government Ayurved College, Junagadh-Gujarat.